She is one of the world’s highest-paid models, worth $82 million, and has become an internet superstar. This is Grumpy Cat. Ben Lashes is Grumpy Cat's manager who also represents Keyboard Cat and Nyan Cat. Tabatha Bundesen took a leave of absence from her day job at Red Lobster to manage Grumpy Cat's schedule while Bryan Bundesen manages the Grumpy Cat website, Facebook, YouTube and Twitter accounts. Photo sessions are only once a week, and handling by strangers is limited.At South by Southwest Interactive, Tardar Sauce made limited two-hour appearances each day as Grumpy Cat. Grumpy Cat has appeared on NBC News's Today,ABC News's Good Morning America, CBS Evening News, Anderson Live, VH1's Big Morning Buzz Live, The Soup and FOX's American Idol. Grumpy Cat appeared on the "Garage Logic" radio broadcast the day of the Minnesota State Fair live Internet Cat Film Festival. Grumpy Cat promoted Grumpy Cat: A Grumpy Book at BookExpo America. She attended her book's launch at Kitson and The Grove's Barnes & Noble in Los Angeles. In 2014, she appeared in a television commercial for Honey Nut Cheerios. In March 2013, Grumpy Cat attended SXSW Interactive, hosted at the Mashable House. Friskies paid travel expenses to Austin in order to film "Will Kitty Play With It?" CNN, CBS, and CNET called Grumpy Cat the undisputed "biggest star" of SXSW Interactive over Elon Musk, Al Gore, and Neil Gaiman. Over 600 fans, including Dennis Crowley, waited for hours in the line, which was nearly three blocks long, to take a photo. Ian Somerhalder took photos with Grumpy Cat and called her "my new love", "very peaced out", "sweet as pumpkin pie", and "kind of amazing". In October 2016, Grumpy Cat made a special appearance on Disney Channel's 'Bizaardvark'. According to the United States Patent and Trademark Office database, "Grumpy Cat Limited" applied to trademark "Grumpy Cat" and an image of her at the end of January 2013. The official Grumpy Cat book, Grumpy Cat: A Grumpy Book, was published on July 23, 2013, by Chronicle Books. The book is available in both print and digital formats from retailers worldwide. It debuted at #8 Hardcover Nonfiction on the Publishers Weekly best seller list and #7 on the New York Times Bestseller List. Additionally, Chronicle Books published The Grumpy Cat 2014 Wall Calendar on July 23, 2013. Another Grumpy Cat book called The Grumpy Guide to Life: Observations by Grumpy Cat was published by Chronicle Books, which debuted at #3 on the New York Times Bestseller List. Grumpy Cat appears in Lil Bub & Friendz, a documentary premiered at the Tribeca Film Festival on April 18, 2013, and won the Tribeca Online Festival Best Feature Film. 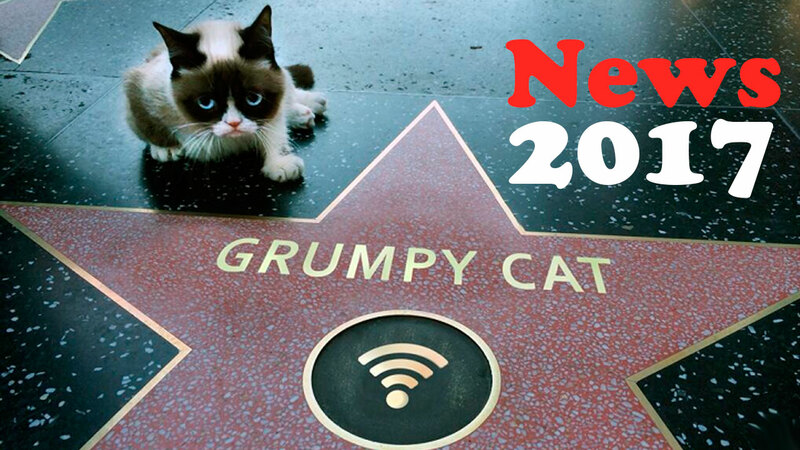 In May 2013, Broken Road Productions optioned Grumpy Cat for a "Garfield-like feature film" adaptation. Producer Todd Garner said "We think we can build a big family comedy around this character". 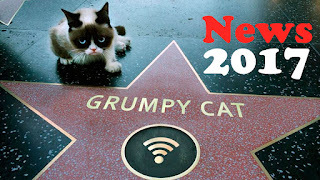 On June 11, 2014, it was announced that Lifetime would be producing a film about Grumpy Cat, entitled Grumpy Cat's Worst Christmas Ever, which debuted on November 29, 2014. Filming took place over the summer, and Tim Hill and Jeff Morris wrote the script. It was reported that Aubrey Plaza would be lending her voice talent for the Grumpy Cat character. Plaza is also a producer on the film and on November 6, 2014, Lifetime released a tongue-in-cheek video about the casting and Plaza's "process" for becoming the voice of Grumpy Cat.